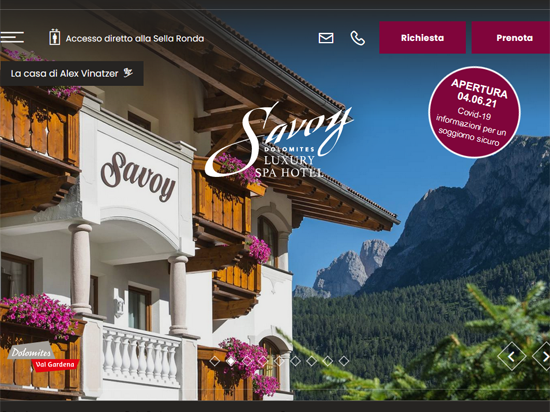 Information The Savoy Dolomites Luxury Spa Hotel in Selva Gardena is located amidst the beautiful landscape of Val Gardena. The guests are offered eight different rooms out of four categories. 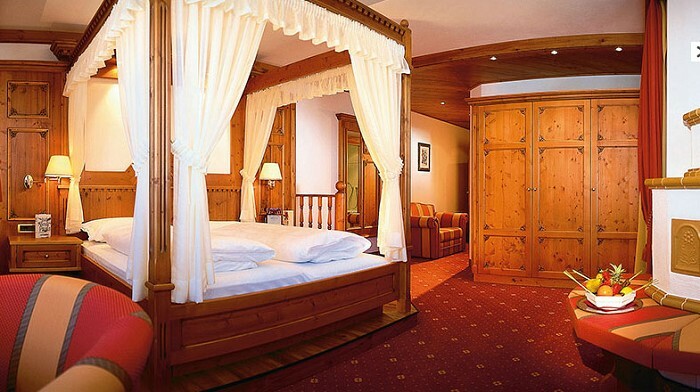 The luxury rooms and suites are tastefully decorated and furnished in the typical rustic south tyrolean style. 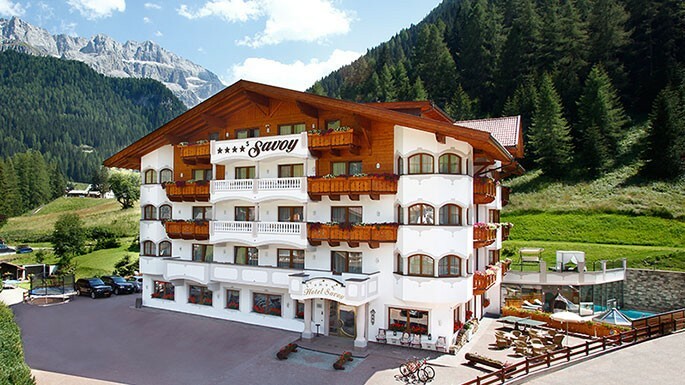 The rooms of the Hotel Savoy in Selva in Val Gardena are equipped with LCD Flatscreen TVs and Wi-Fi Internet connection. 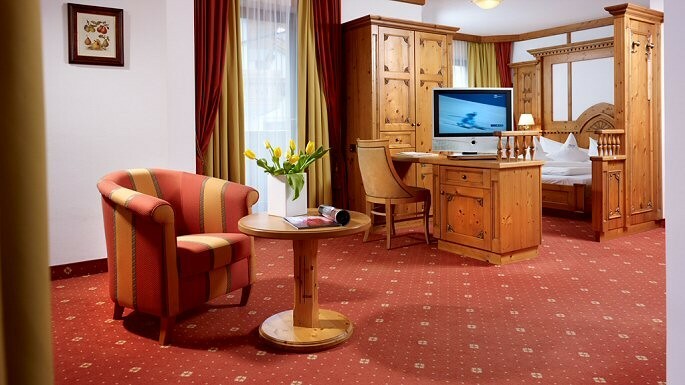 By using the hotelown lift the hotel guests will arrive directly on the Sellaronda from where they can also reach several other pistes in Val Gardena. The luxury Savoy Wellness & Spa offers relaxation in saunas or pools and beauty treatments. In the evening the open fireplace invites to enjoy a drink before entering the exquisit restaurant.